I hope you all enjoyed your Easter week and very deserved vacations. I been enjoying my time with the family at my hometown for a few days and have disconnected myself from all social media. Yesterday, I shared some photos on my Instagram account and of course answer many of the comments that you guys always write with so much love. Thanks for always taking the time to read and comment on the blog. Today’s outfit receives with open arms the spring. 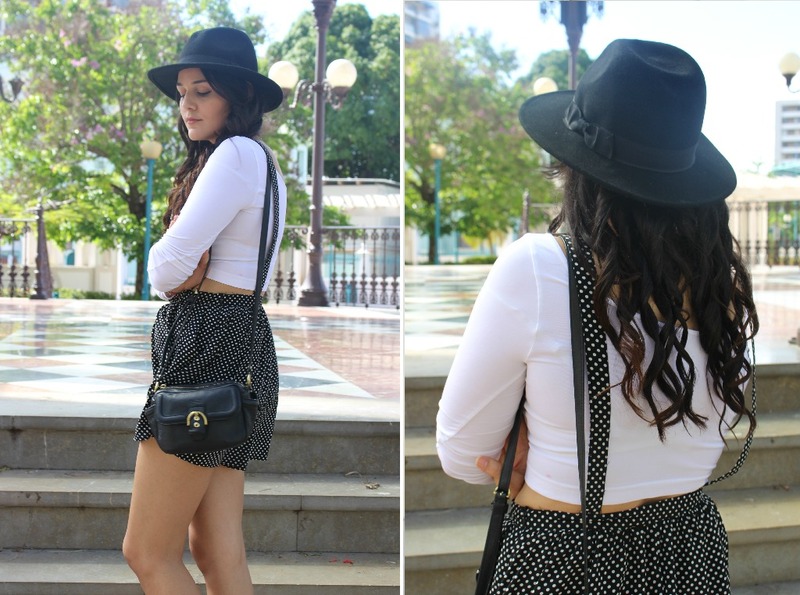 The overall are an essential piece for this summer and always goes along with crop tops, I used my new fedora to complete the outfit. Hope you enjoy the photos and Lots of Love. Espero que todos hayan disfrutado de su semana santa y merecidas vacaciones. 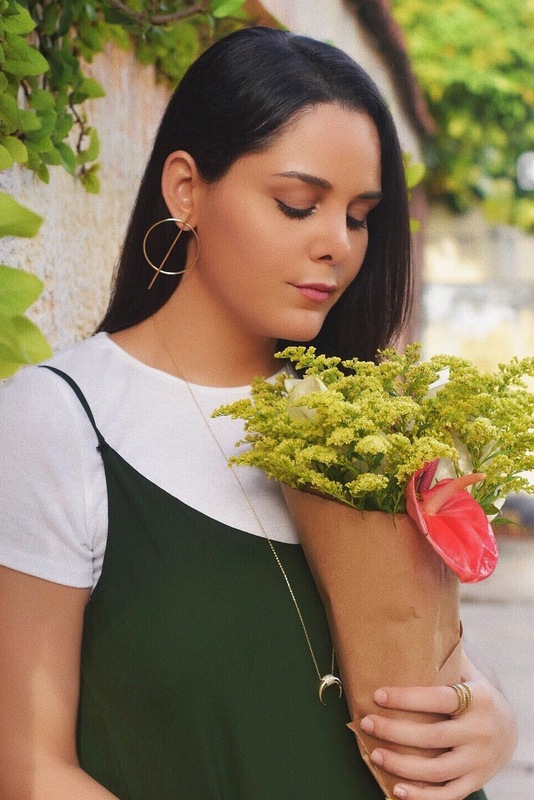 Yo la he pasado con la familia en mi pueblo natal por unos días y me he desconectado de todo tipo de redes sociales, ayer fue que compartí algunas fotos en mi cuenta de Instagram y por supuesto conteste muchos de los cometarios que me han escrito. Gracias por siempre tomarse el tiempo de leer y comentar en el blog. El atuendo de hoy recibe con los brazos abiertos la primavera. El mameluco es una pieza esencial para este verano y siempre va de la mano con camisas cortas, para completar utilicé mi nueva fedora. Espero que disfruten las fotos y Mucho Amor. 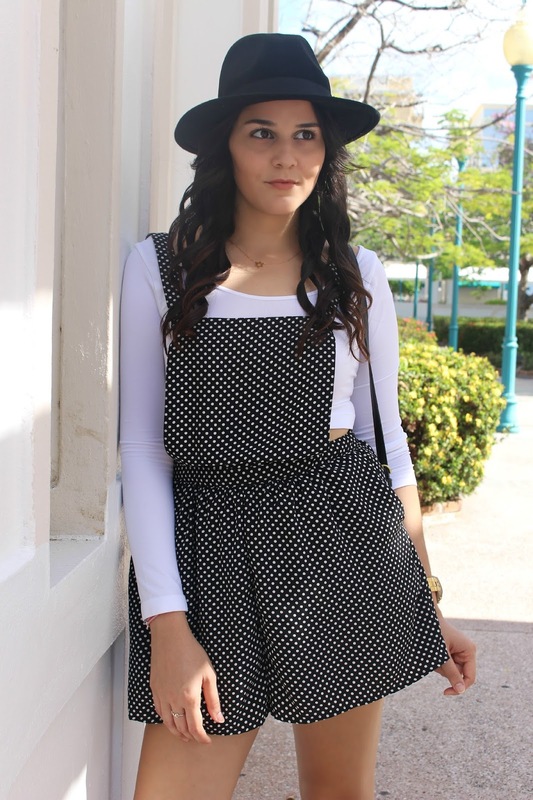 Amazing fabulous look, polka dots are my favourite, Let me know if you would like to follow each other. Me encanta el mono y como lo has combinado! Oh I just love that jumpsuit! Too cute and adorable, especially with the little polka dots. Gorgeous! I love this outfit! Que bonito te queda el mono ,estas preciosa,mil besos. Cómo me gusta el mono y queda ideal con ese crop top! Muy guapa! El mono es precioso precioso, el sombrero le da el toque. Pero que peto mas bonitoooo!!! me encanta, tengo uno parecido pero en blanco!!! es precioso y lo conjustas muy biden!! me encantan los botines. Ugh I LOVE! 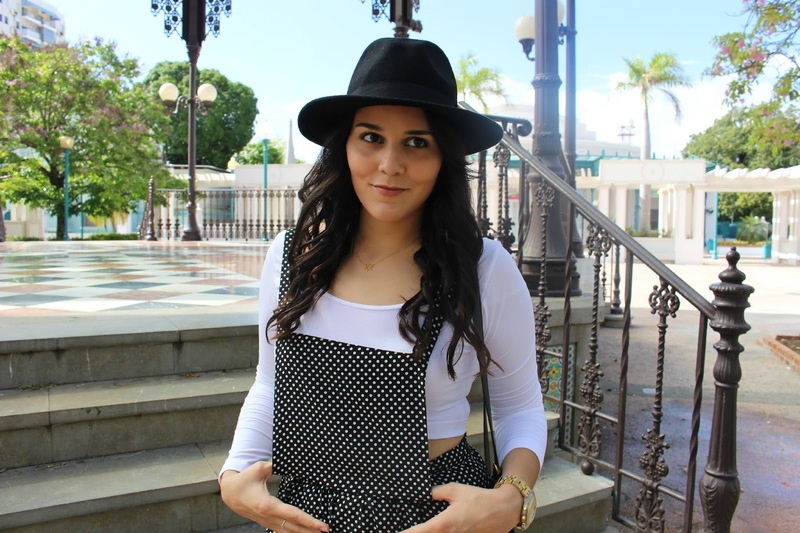 There's nothing better than polka dotted overalls. Perfect balance of sweet and edgy, you look awesome. That romper is great on you! What a lovely outfit. You look so pretty! cutiepie! love that romper on you! That jumpsuit is beautiful !